Kyle McGrath controls the puck during last Thursday’s 5-4 loss to the Cowichan Valley Capitals at The Q Centre. Newfoundlander Kyle McGrath is right at home in all the snow Victoria has been smothered with the last few days. The St. John’s product is also feeling more at home with the surging Victoria Grizzlies. After signing with the Grizzlies in early January from his Junior B team in St. John’s, the 19-year-old McGrath started slowly in the B.C. Hockey League, going pointless in his first six games. In the seven games since then, the speedy winger has collected seven points, and, after an assist in Sunday’s win over the Merritt Centennials, is riding a four-game point streak. “We knew Kyle had lots of speed and skill when we signed him but, like most players who come new to this league, it takes a while to get used to the speed and intensity of the BCHL,” said Grizzlies GM and head coach Craig Didmon, whose team goes into tonight’s game in Duncan against the Cowichan Valley Capitals with three wins and two shootout losses in its past five games. The Grizzlies lead the Island Division by five points over Powell River. It also doesn’t hurt that McGrath has been shifted to the Grizzlies’ top line with fellow Newfoundlander and BCHL leading scorer Alex Newhook, along with 2018 New York Rangers draft pick Riley Hughes. “I’m playing with two highly skilled offensive guys now, so obviously I’m getting more chances and things are starting to click now,” said McGrath, who played 33 games in the Quebec Major Junior Hockey League last season for the Cape Breton Screaming Eagles. The Grizzlies (33-16-0-4) will need that scoring depth tonight. Less than a week ago, the Caps (16-31-5-1) rallied for a late goal to force overtime and then beat the Grizzlies in a shootout. “Yah, we kind of owe these guys from last week, but it just goes to show you that you can’t take the foot off the gas pedal,” McGrath said. After tonight’s game at The Stick, the Grizzlies return home Saturday night to host the Alberni Valley Bulldogs at The Q Centre. 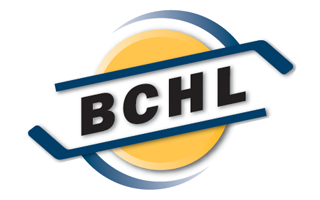 LOOSE PUCKS: Newhook, projected to go in the first round of this summer’s NHL draft in Vancouver and headed to Boston College of the NCAA in the fall, leads the BCHL with 90 points, 15 ahead of second-place Ryan Brushett of Powell River.